Generation after Generation and The Romance is STILL going strong. Terry Hall & Hazelwood Mantic, Toobeah 2015. Photo by Sue Waldron. 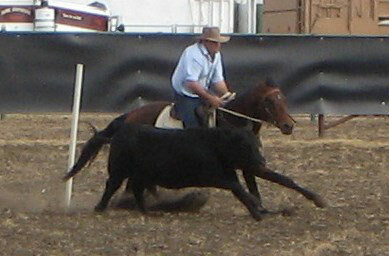 Booking fee of $330 inc GST applies, plus vet fees & agistment. 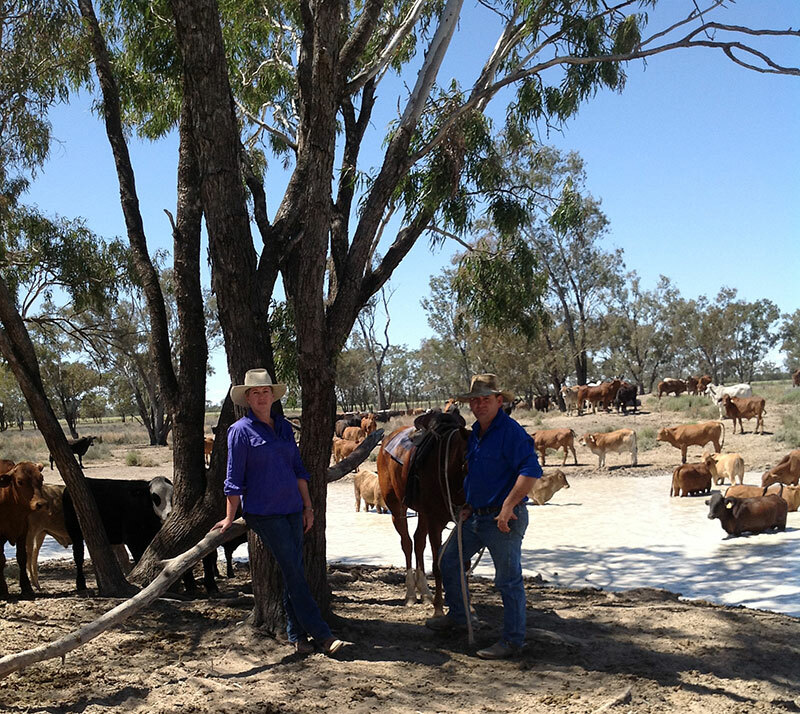 Ben & Rae Hill on their property Box Plains. 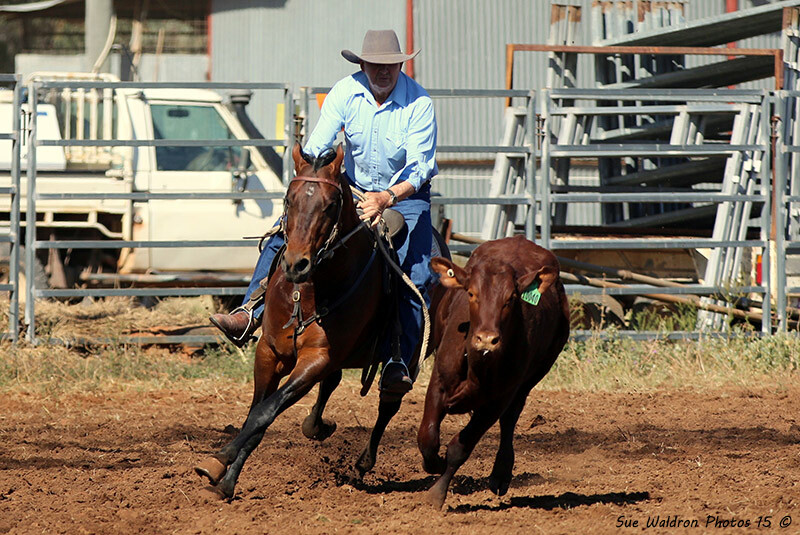 Ben and Rae Hill had been considering purchasing a colt to use at home with their home bred mares. 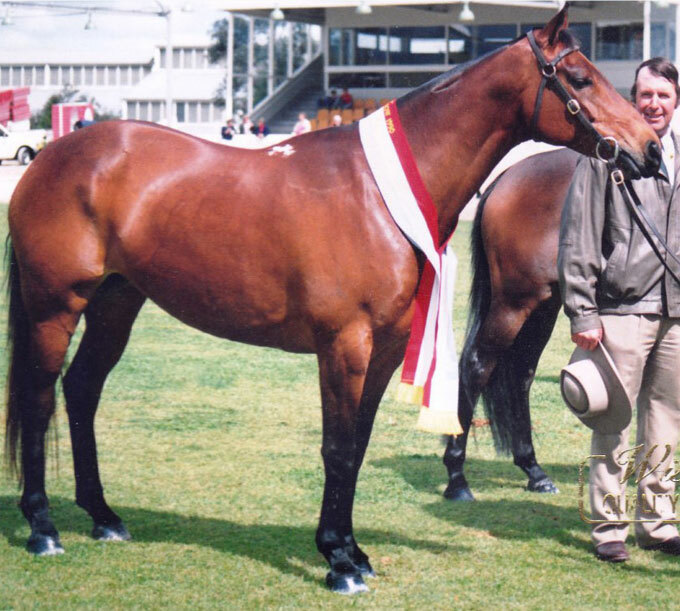 They were attracted to a colt bred by Terry and Chris Hall, which was for sale at the Landmark Horse Sale in 2008. Ben contacted Terry about their intended purchase, but was in two minds when he saw an 11 month old weanling colt by Acres Destiny out of Romantic Oak. 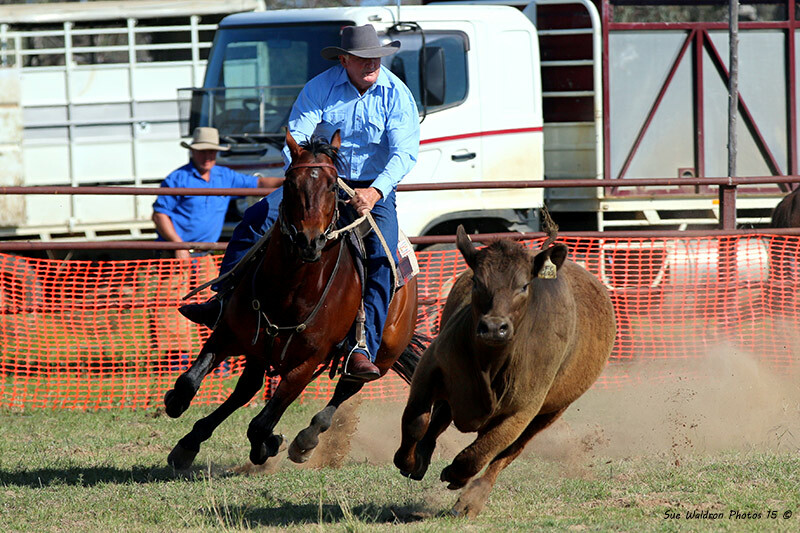 Being from Nindigully and having watched Terry and Chris at all the local drafts for many years, Ben was fully aware of the strength of this youngster’s breeding. 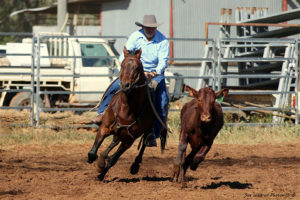 He had watched Romance as a young mare and seen her develop into the champion she was. He had similarly watched Conman and Romantic Oak develop into top level athletes. 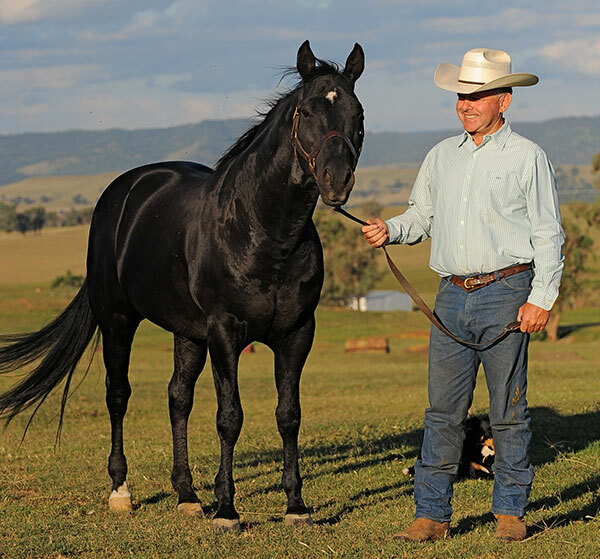 In Ben’s mind this was the strongest mare line he had seen and this weaner was a Romance grandson crossed with Acres Destiny. 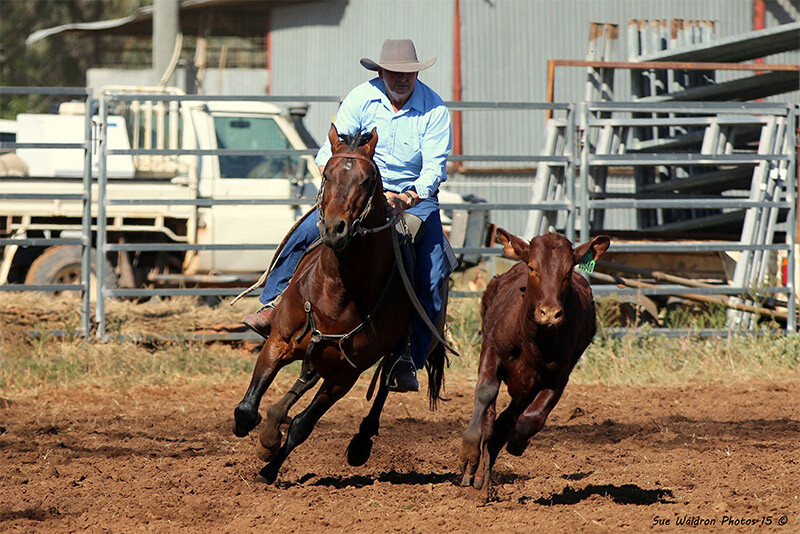 The Hill’s changed their mind and purchased the weaner colt instead of the catalogued colt, took him home and made plans to give him every opportunity to be a serious competition horse, not just a station sire. Photo by Sue Waldron, Terry Hall & Hazelwood Mantic Toobeah 2015. 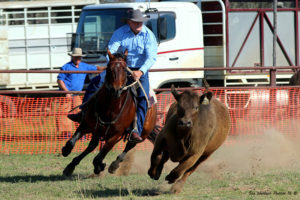 He was sent to Hugh Miles as a youngster to be broken in and set for the Cloncurry Challenge. Everything went to plan for the next couple of years with both Hugh and the Hills being thrilled with his development. 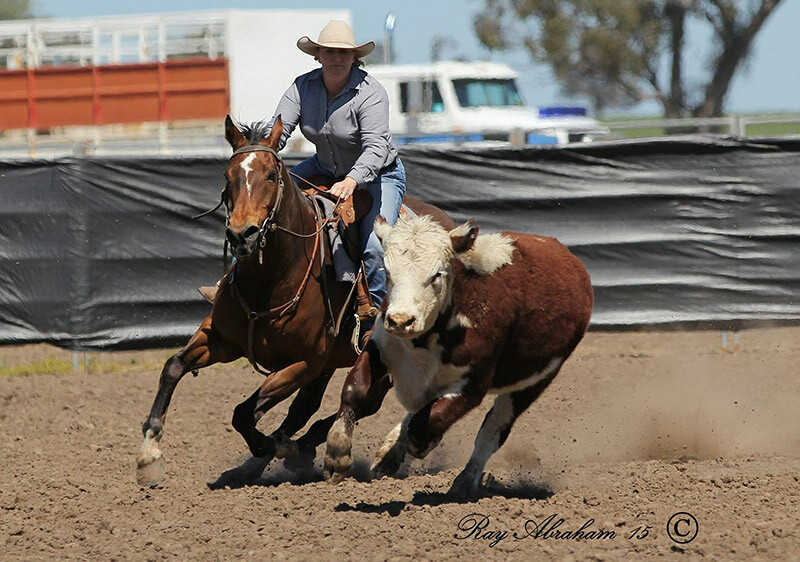 However, tragedy struck on the way to Cloncurry and Mantic ended up in the Oakey Vet Hospital fighting for his life from an unknown illness. For weeks he battled to survive and Ben credits the vets and staff for saving him, as several times it looked as if the battle would be lost. Mantic then returned to Box Plains and had 18 months in the paddock to recuperate. He was then returned to light work in 2013 where he again impressed, with Terry Hall giving him two starts at Nindigully and St George. However fears that he hadn’t fully recovered arose and he was again spelled for nearly a year. Photo by Sue Waldron, Terry Hall & Hazelwood Mantic Nindigully 2015. 2014 saw him return to competition where Ben gave him 4 starts for a 2nd at Surat before Terry Hall resumed as his regular jockey. 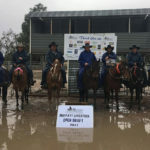 He ended a limited season three 2nds and a couple of thirds before breaking his Maiden with a prestigious win in the Novice at the ABCRA National Championships at Bundarra in early 2015. 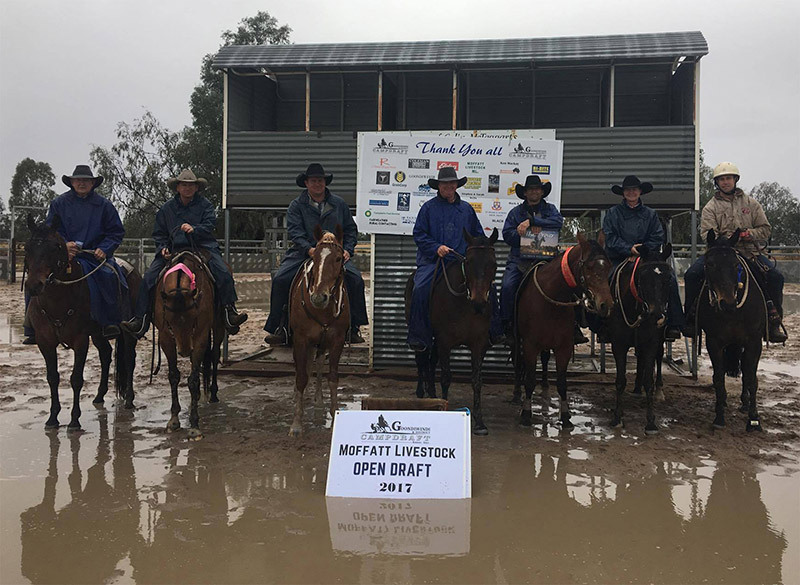 The future looks to be less stressful for Hazelwood Mantic as he has now fully recovered and is settling in for the season as a permanent member on Terry and Chris Hall’s truck. Terry speaks highly of Mantic and is looking forward to the future with this talented grandson of his mighty mare, Romance. 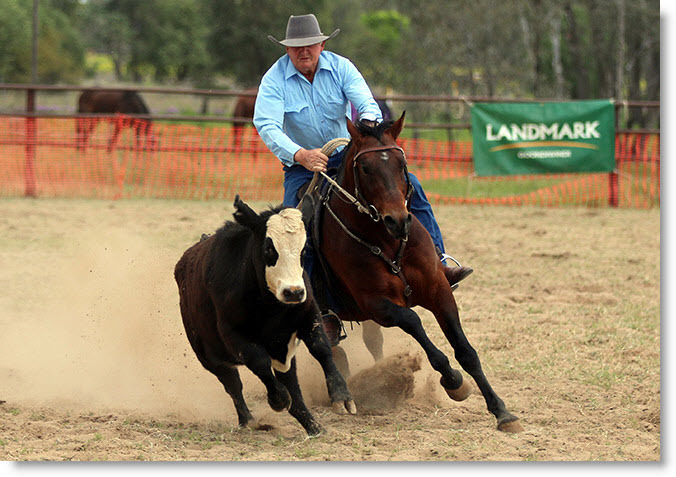 Goondiwindi & District Campdraft Res Open Rd 1 – 1st (90). 8th Overall. Ben and Rae are looking forward to starting their team of five 4.y.olds they have in work by Hazelwood Mantic. 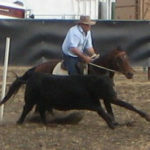 In his early years he was not advertised and only used as a station sire at Box Plains. These youngsters are all broken in and learning their trade in the work team at Box Plains. They are all showing potential, but haven’t been rushed as Ben is having the year away from competition. Next year we will see them in action and the potential of this young sire will be evident. 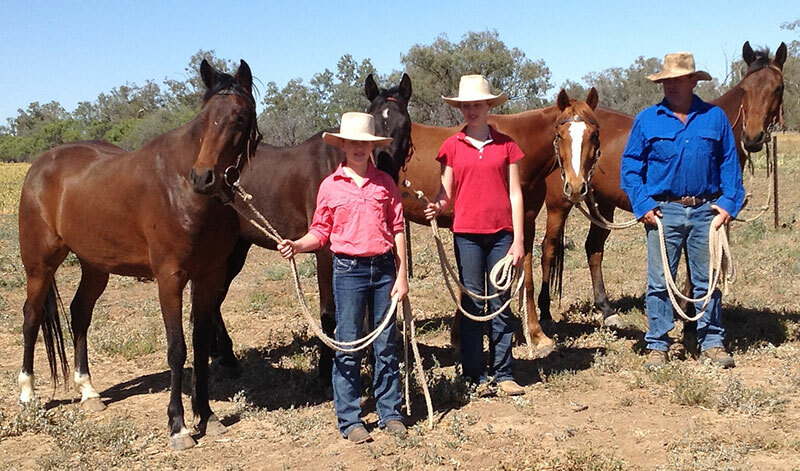 Left to Right: Ella, Alice & Ben Hill with Hazelwood Mantic’s first progeny. 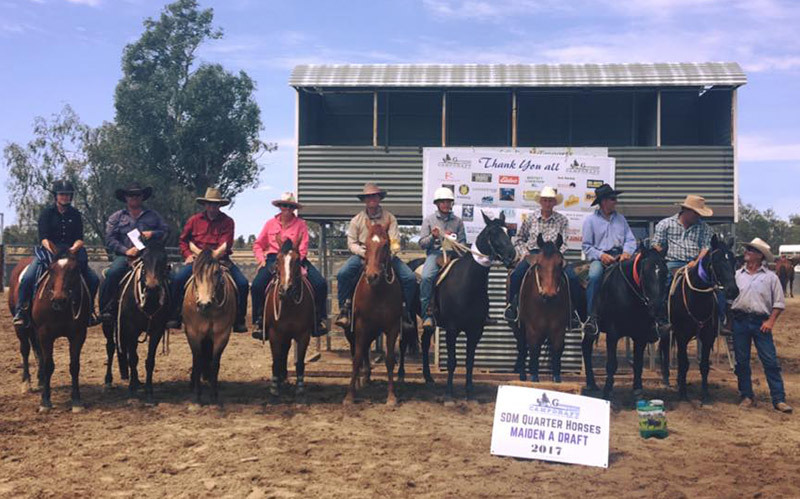 Goondiwindi & District Campdraft Maiden A – 1st with Ben Hill. Terry Hall talks Hazelwood Romantic Oak and Hazelwood Mantic. 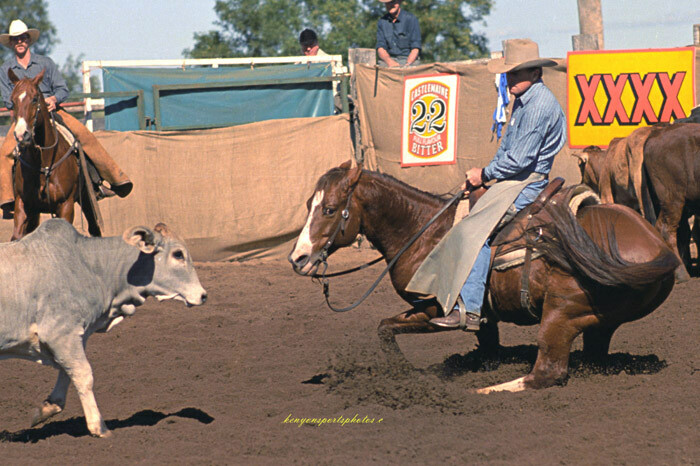 Docs Freckles Oak was one the original imported Quarter Horse Stallions who changed the thinking in the Australian Cutting & Campdraft industries. 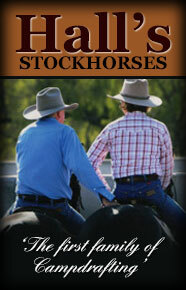 Visit Hall’s Stock Horses to read the full story on Romance.